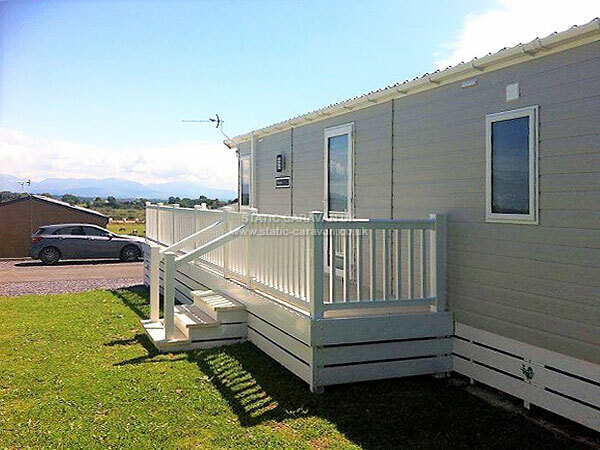 A modern caravan sited on Glan Gors in Brynteg, close to Benllech on the East Coast of Anglesey. 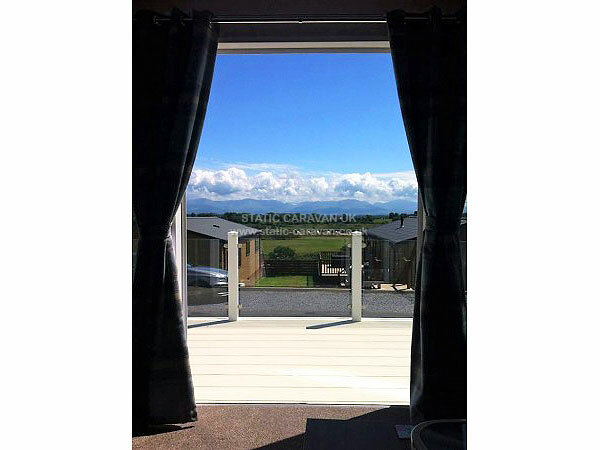 This 5* holiday park has well maintained grounds and is very secure with electric gates at the entrance, which are shut between 17:00pm and 08:00am - when access can only be gained via a swipe card. 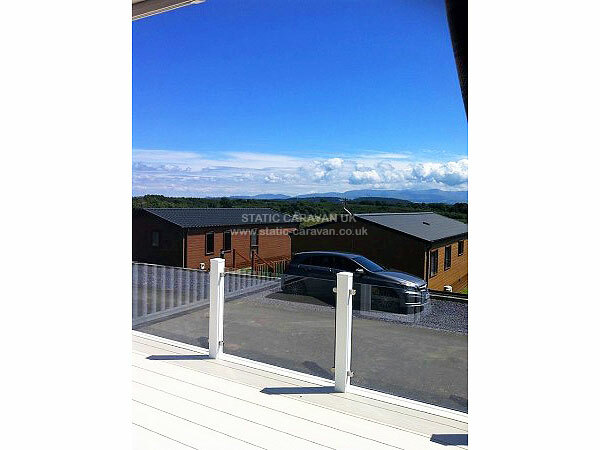 This caravan is in a quiet position with stunning views (from the french doors and decking area) of the North Wales Mountains. 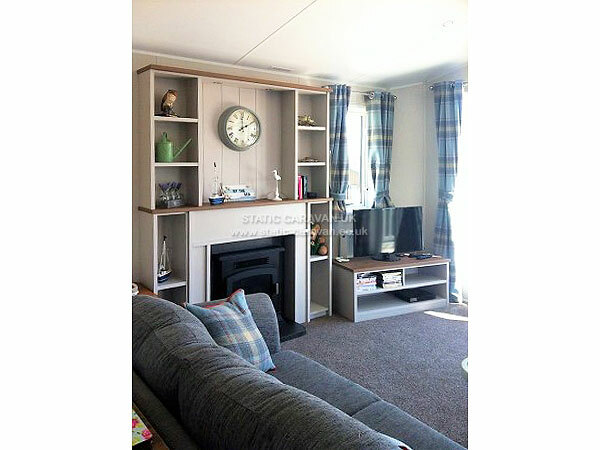 415 is a well equipped two bedroom static, which boasts a lounge and dining area with a TV and DVD player (with plenty of DVD's), games and books. 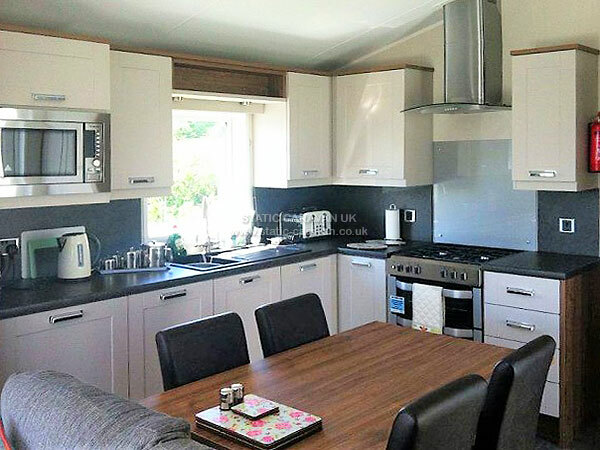 The kitchen has a gas cooker, microwave, toaster, kettle and fridge-freezer, there is ample crockery, cutlery and quality cookware.Wi-fi is also available. Bedroom 1 has a kingsize bed with ensuite shower and toilet. There is a small room off this bedroom with an iron and table ironing board, vacuum cleaner, hairdryer, clothes airer, travel cot and extra pillows. There is a seperate shower and toilet. Outside there is a spacious decking area with table, chairs and parasol. There is also a gas barbecue, seating and a large parasol on the grassed area. The unit is double glazed and has central heating. The park reception has showers, changing rooms, sauna, small gym and an indoor heated swimming pool with a small baby pool, there is also a coffee machine an ice cream on sale. The park also has a childrens outdoor play area, and a seperate designated grassed area for ball games (away from the vans) near the park entrance. Near the park entrance is a dog walking area. 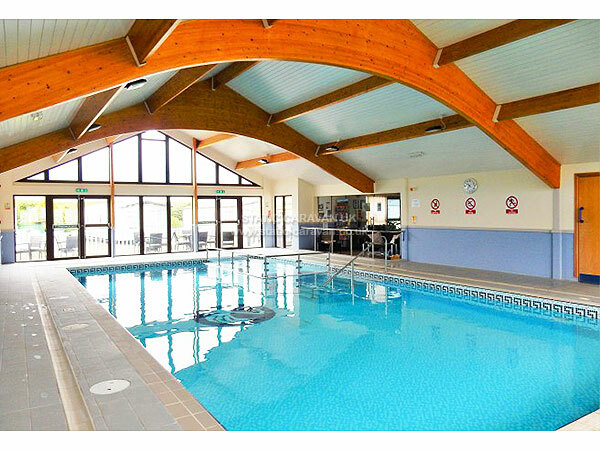 Your stay will include full use of the Holiday Park facilities including the indoor swimming pool and sauna. 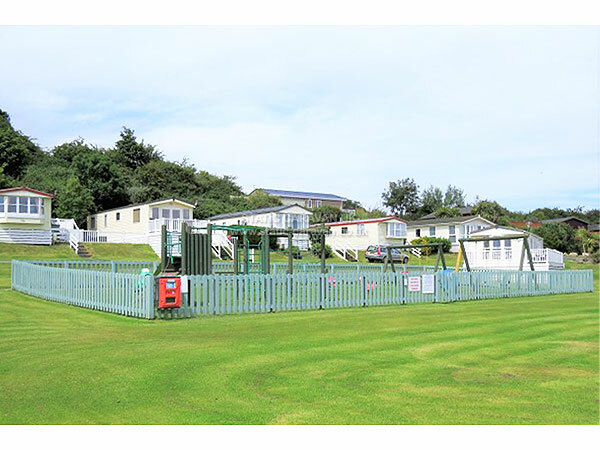 The park is located only 2-miles form the village of Benllech, where you will find a variety of cafes, pubs and local shops to cater for your holiday. Bellech is a popular destination with visitors and the locals. A short drive will take you to Lligwy Bay, where you can enjoy the stunning sandy beach while grabbing a bite to eat at the established 'Lligwy Beach Cafe'. You may even be lucky enough to spot a few dolphins. If you enjoy a round or two of golf, Storws Wen Golf Club is located within walking distance to the park. Why not take a walk on the famous 'Anglesey Coastal Path' or even try your hand at horse-riding, go-karting or fishing. You can even sit back and enjoy loacal boat rides along the Menai Straits. There is plenty to do on the island for the whole family. There are endless activities to get up to while staying on Anglesey, if you are looking for a peacful and relaxing holiday, or a fun-filled stay for all the family. 'Check-In' is between 2-5pm and 'Check-Out' is by 10am on your day of departure. If you are unable to 'Check-In' whithin this period, please notify the park prior to your arrival and we may be able to make alternative arrangements. A 50% deposit is required to secure your booking, with the balance payabale on your arrival. Cash, bank transfer and card payments are all welcome. Your deposit is non-refundable should your booking be cancelled. 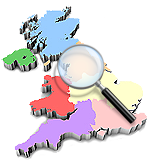 A £100 damage bond is in addition to your booking, which is fully-refundable after your stay, provided the unit is left in a clean & un-damaged condition. 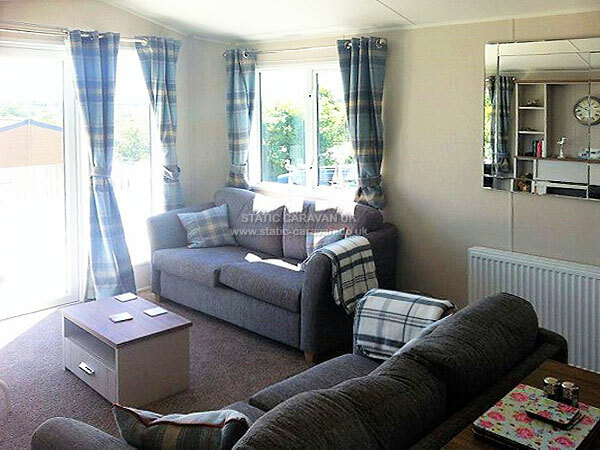 Come and make yourself at home in this wonderfully presented Holiday Home on Glan Gors Holiday Park. 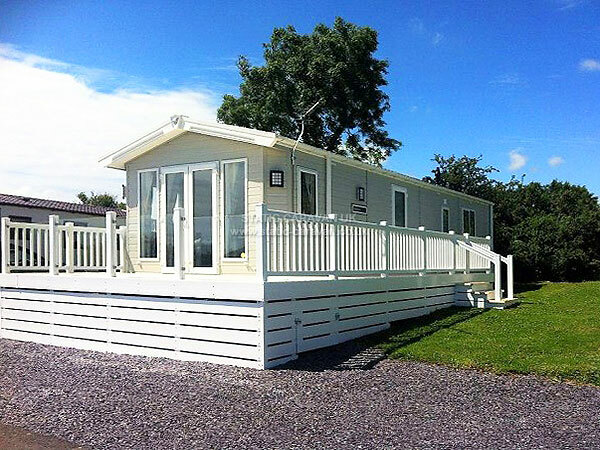 Glan Gors Holiday Park is a beautiful 5* park in a stunning, peaceful area. A nearby sandy beach gives you plenty of options for family days out on the beach swimming, playing games and to enjoy an outdoor picnic. Also with 5 of the island’s premier golf clubs all within easy reach, Glan Gors is the ideal base for anyone who enjoys a serious round or two with their friends. If you don’t feel like straying too far from home, Glan Gors offers a host of options to keep you energetic and fit. These options include a fully equipped gym, sauna complex and luxurious heated indoor swimming pool. Meanwhile, the kids can let off steam in the children’s outdoor play area. There’s nothing better after a fun filled day than returning to the peace and calm of Glan Gors. Here you can take in the sunset whilst enjoying the stunning views across the rural landscape to the Snowdonia mountains and beyond. There are numerous beaches to visit when you’re staying here so make sure you visit the stunning beaches Anglesey has to offer. Take your bucket and spade down to Benllech Beach or Lligwy Bay. Lligwy Bay was named one of the 10 Best Picnic Spots in Britain by Coast Magazine. Here you will be able to catch a glimpse of dolphins and seals! 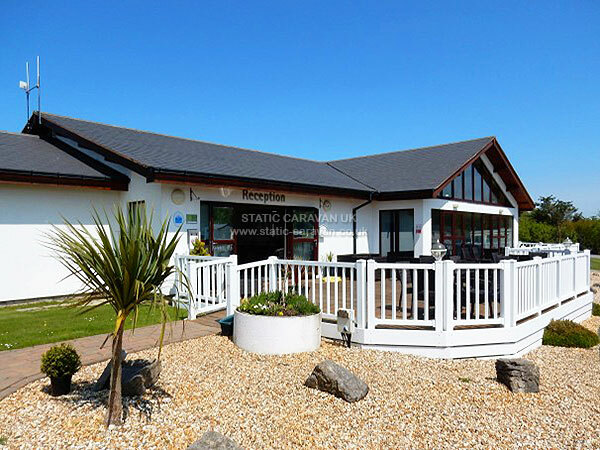 There are endless activities to get up to when staying on Anglesey, there are some great fishing spots, Golf Clubs – we are within walking distance of Storws Wen Golf Club, you can go on boat trips, go-karting, horse-riding and even flying! If your children like animals you enjoy a day out at the Pila Palas Butterfly Palace, Anglesey Sea Zoo or Foel Farm Park. There are fun centres and leisure centres in the area for your children to run around and have fun! If you’re looking for a historical day out you can visit Beaumaris Castle, Lligwy Burial Chambers or The Copper Kingdom.